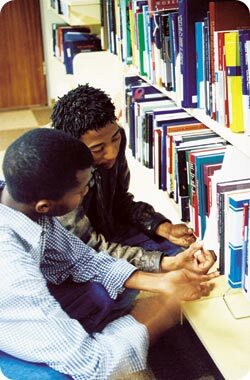 There are over 200 000 students studying through Unisa, rated as one of the top universities in South Africa. The University of South Africa (Unisa) is synonymous with world-class tertiary tuition in the field of distance education. In 2004 it merged with Technikon SA and incorporated Vista University Distance Education Campus to form the first comprehensive distance education university on the continent of Africa. Merging a technikon and a university is a complex and challenging process, but an ultimately extremely rewarding one – with enormous expertise available from both merging institutions which will benefit the new Unisa in increasing human resource and technological capacity to the advantage of the country and providing learning opportunities for all our students. Market research has shown that Unisa is rated as one of the top universities in South Africa. Unisa qualifications are sought after in the marketplace. The University is affordable, since its courses are one-quarter to one-third the price of residential universities; accessible as students who do not have a university entrance matric can register for its access programme; flexible, because students can plan their studies to fit into their lifestyles; and credible, because of the international recognition afforded its qualifications. The University, which began teaching through distance education more than 50 years ago currently has some 200 000 students in Southern Africa, other African countries and abroad. Unisa’s colleges of Economic and Management Sciences Humanities, Social Sciences and Education Science, Engineering and Technology Law and Justice and Agriculture and Environmental Sciences offer a diverse choice of study fields at levels from certificate to degree, ranging from animal health, agriculture, law, business, education and humanities, to name but a few. Unisa is now also represented in all provinces of South Africa with strong outreach to SADC countries as well as other African countries. Provincial Centres: Durban (KwaZulu-Natal), Cape Town (Western Cape), Polokwane (Limpopo), Nelspruit (Mpumalanga), Mafikeng (North West) Kimberley (Northern Cape), Port Elizabeth (Eastern Cape), Bloemfontein (Free State). Students need a school-leaving qualification that would entitle them to enter a university or college in their own country. However, Unisa also offers access courses to those who have completed their schooling but who do not have university entrance. Access course programmes are available for students who have a national certificate (matric without university entrance). If successful, students can study further for a degree. Students can register twice a year for modules and once a year for full courses. Students can either register through the post, by writing to The Registrar (Academic), or through the website. When students register they are given Study Guides which are, in effect, the lectures. Tutorial letters set out the assignments, due dates and material to be studied for the assignments. Students have to obtain their own prescribed books as only a limited number are available in the library. Students can register with Students-on-line (SOL) and submit their assignments and contact their lecturers through the Internet. The University is currently putting its courses on the Internet. The Bureau for Student Counselling and Career Development offers advice to students through email, post, telephone calls or by personal appointment. The main centres have library and study facilities, as well as administrative staff and peer helpers. Others just have administrative staff who will forward queries. Students are encouraged to form study groups with others in their area. They can also link up through the chat room, or write to Student Talk (which is sent to all registered students quarterly) to request other students to contact them. Students should do as many assignments as possible. These are submitted, marked and returned with comments. If students have a problem in understanding the work, they are encouraged to contact the lecturers, head of department or bureau for student counselling through the post, by telephone, appointment or email to discuss the matter and ask for clarification. Unisa now has a staff component of just over 4 000 people who provide tuition and administrative support to students in South Africa and worldwide. Students can register at any of Unisa’s offices, through the post or through the Internet. Exams are written twice a year. If a student is registered for a semester module they can write in June and in October/November.